From I-94 south take i-294 south. Exit I-294 at Golf Road (rt 58). At the exit, turn right (west) on Golf Road. 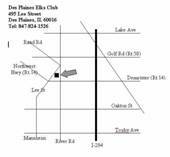 Take Golf Rd about 1 mile to River Road (Des Plaines River Road), turn left, south. 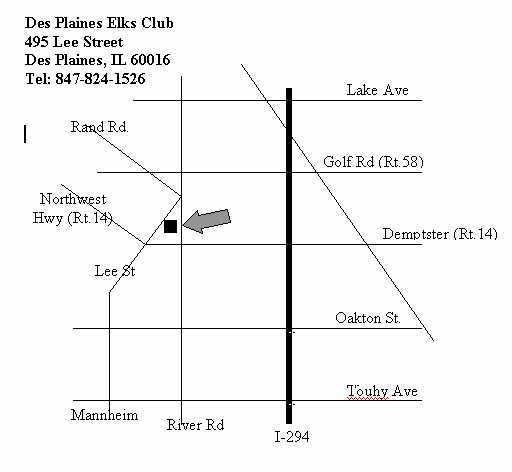 Take River Road to Elks Club.